We’ve all been there. The ‘tumbleweed’ sensation when a lesson that revolves around student discussion falls flat because they don’t want to talk. While the sound of embarrassed silence is something no teacher wants to face, this can be a good opportunity to think about why students don’t want to speak. Do they feel self-conscious? Are they not being given enough opportunities to speak? Maybe they aren’t interested in the topic? 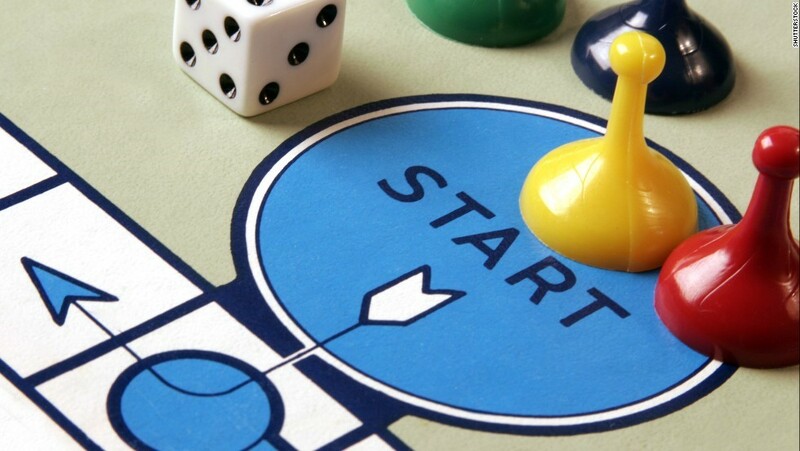 The following game is perfect for a number of reasons: students pick the topics themselves so you can be sure they are interested; there is a supportive element in the groups which takes the pressure of the speaker; the game board somehow distracts students from thinking of it as speaking practice. It’s also very flexible, so you can change it however you like. Photocopy enough copies of a blank game board with empty squares for one between 2-4. Ask students to fill in each square with a topic they are interested in. Students flip a coin / roll a die to move (the coin works well with a smaller board). When they land on a topic they must speak on that topic for 30-60 seconds depending on the ability. Explain to the groups that this is a joint effort. If the speaker struggles to get to the end of the time, the other members of their group must ask them questions to help them continue. Include a pile of ‘grammar’ cards – students pick one of these too and have to use the tense/phrase etc. when speaking about the topic. These can either be challenging grammar for higher abilities or some helpful phrase starters for lower abilities. Include ‘challenge’ squares on the board before you hand them out. Write a set of challenge cards e.g. ‘read this tongue-twister as fast as you can’ or ‘name 5 irregular verbs’.